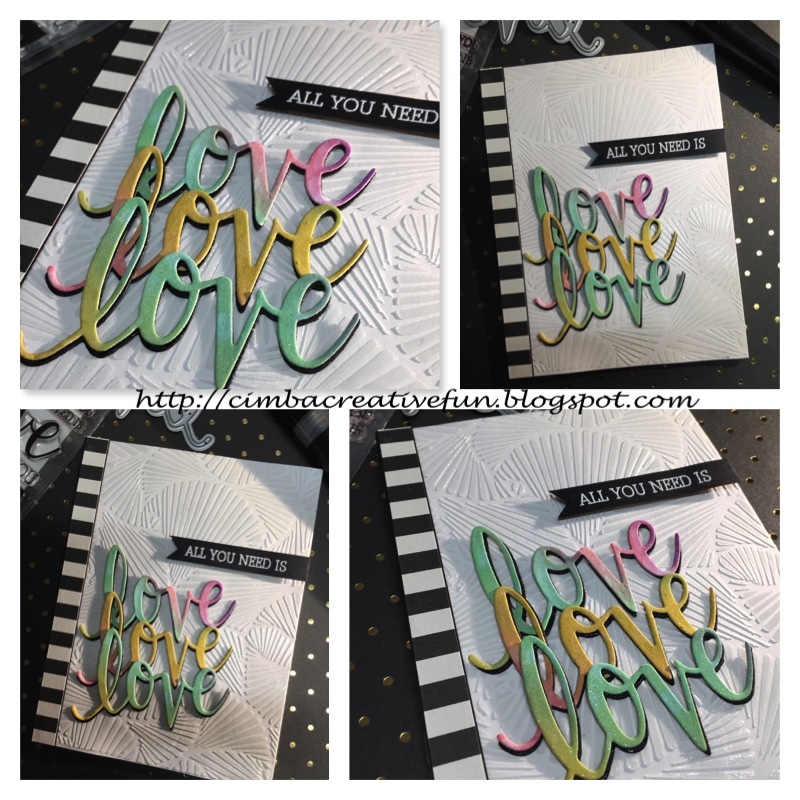 Here I’ve used the Love Stamp and Die set DC175 for my sentiment and the Hero Arts Deco Pattern Stencil SA105 with some embossing paste. I die cut the 6 love dies, 3 from watercolored paper that I used Distress Oxide Inks on, and 3 black ones for shadows. I’ve also used Hero Arts white embossing powder and a strip of pattern paper from my stash. 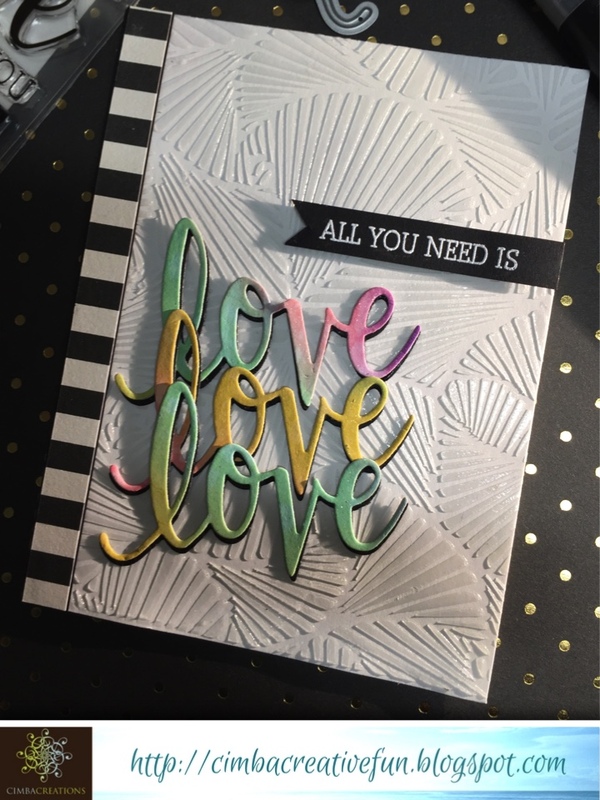 I added some shimmer to the die cuts with Spectrum Noir glitter pen. I hope you will have time to join the challenge – just remember to use one main Hero Arts product! You could win a $25 gift card to the a2z store! And remember to use code Angie15 to get 15% off your purchase of $25 or more! 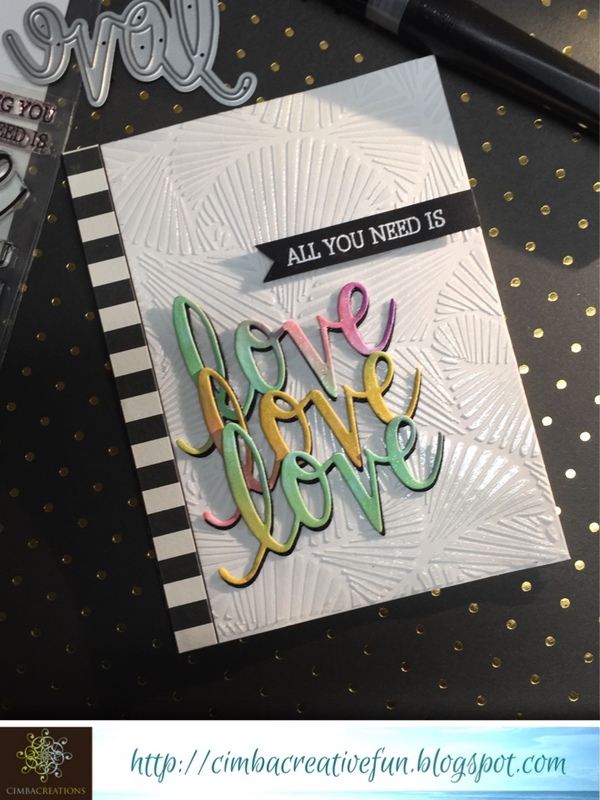 Categories: Challenges, Embossing, Handmade Cards, Hero Arts, Stencil | Tags: deco pattern stencil, die, die cuts, Diecutting, embossing paste, embossing powder, Hero Arts Love Stamp and Cut, Love, Patterned Paper, Sparkle, stencil, Watercolor, watercoloring | Permalink. I absolutely LOVE this card. The background is gorgeous and I LOVE the LOVE. WOW factor times 10. Nice! I like the textured background & the layered sentiment with the nice colors. Angie what stunning creation!! Wow! !